Mayor has ambitious goals for making Lancaster the solar capital of the world | West Coast Solar, Inc. 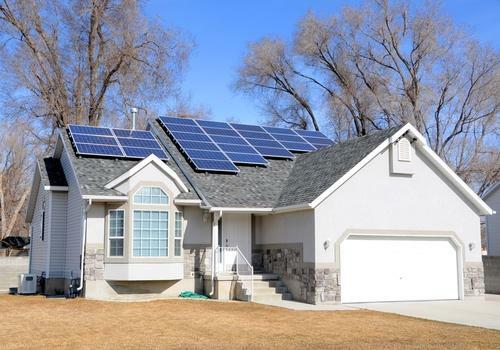 Recently on this blog we reported that the city of Lancaster, California, became the first metro in the United States to push forward an ordinance requiring all new homes to feature solar energy solutions. The regulation states that residential properties built on lots of 7,000 square feet or more must include 1- to 1.5-kilowatt solar systems. This and other efforts throughout the city to embrace sustainable technologies and make Lancaster the “solar capital of the world” have gained it recognition across the country as a leader in energy efficiency. On April 8, The New York Times published a feature in which they interviewed Mayor R. Rex Parris to gain a better understanding of his sentiments regarding global warming, solar power and more. “We want to be the first city that produces more electricity from solar energy than we consume on a daily basis,” Parris said when asked by the source about the metro’s ambitious goals. Although this way of thinking has been met with resistance among conservative members of Lancaster’s population, states the Times, the Republican mayor explained that his energy-efficient initiatives are about more than just environmental concerns. Not only can solar self-sufficiency lower public expenditures, it can also create jobs in a city that has a 15.5 percent unemployment rate. It’s encouraging to see that the Golden State – which has already shown record growth in the solar market over the last year – is continuing its efforts to use renewable power resources. If you live in the San Francisco Bay Area and are interested in hearing more about how residential solar energy solutions can benefit you, contact West Coast Solar for an in-home assessment at 877-379-3448. Our knowledgeable staff can take you step by step through a fully integrated construction process.